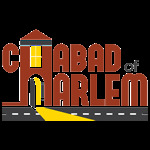 Your Warm and Traditional Passover Seder at Chabad of Harlem. Relive the exodus and discover why this is relevant to you - Today! Eat hand-baked Shmura Matza, drink four cups of wine, and enjoy delicious, traditional food! Sing beautiful melodies, and experience the unique customs of Passover. Give yourself a real Passover Experience!